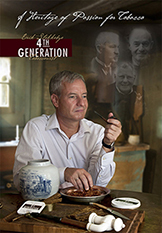 Erik Stokkebye is the 4th generation tobacconist from a stellar lineage steeped in tobacco tradition. Erik pays tribute to the Stokkebye heritage with the creation of these blends, 4 of which are named after each of the Stokkebye patriarch's birth year and a 5th representing the year in which the Stokkebye family business began. Each blend reflects unique personalities and blend preferences beginning with great grandfather Erik Peter, who founded the family business in Denmark, and finishing with Erik's own personal favorite 1957 and his brother Lars' 1966 blend. 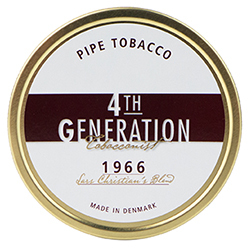 You will likely find your own personal favorite among this wonderful selection of premium pipe tobacco blended by a true master. To celebrate 160 years of Stokkebye family tradition, Erik Stokkebye took an original recipe from his grandfather's blending book and brought it back to life with this Family Reserve blend, which is a unique mixture of deep brown Burleys, broad cut Virginias, Black Cavendish, and sprinkles of mature Navy flake. The top note is a wonderful combination of marzipan, vanilla, and sweet prunes. An enjoyable smoke with a delicious aroma. 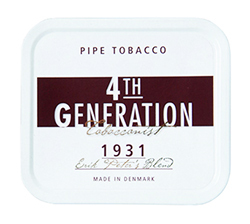 Erik Stokkebye's great grandfather Erik Peter founded the family's tobacco business in Denmark. Erik Peter was known for his deep passion for natural tobacco flavors, so Erik selected the 1855 blend in his honor. 1855 is a ready-rubbed pipe tobacco blend for the experienced pipe smoker. Exquisite golden, mature Virginia tobaccos give this blend its natural sweet Virginia taste and pleasant aroma. The 1882 Founder's Blend is Erik Stokkebye's tribute to the year in which the legendary Stokkebye tobacco business was started. This classic English blend achieves the perfect balance of Latakia and Oriental sun-cured tobaccos further enhanced by mature Virginias, and complemented by full-bodied Kentucky leaf. Erik's grandfather Erik Paul had an entrepreneurial spirit and enjoyed travel and adventure. Light, golden Virginias, bronze Burleys, and a touch of Black Cavendish give the 1897 blend that special touch. Rich vanilla combines with notes of mild, sweet honey for a gentle aromatic sweetness. Father Erik Peter was larger than life. Full of energy and passion for his craft, his favorite tobacco was navy flake. The 1931 blend is a dry, natural, full-bodied smoke that reflects Erik Peter's passion. Flake lovers will appreciate the natural balance of superior Burleys, mature Virginias, and a small measure of Black Cavendish Erik brings to this blend. 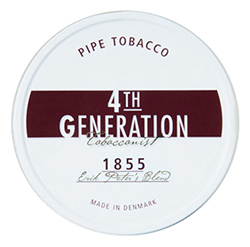 As the 4th Generation tobacconist in the Stokkebye family, Erik's personal favorite is the 1957 blend. Bright Virginias, light brown Burleys, and a touch of Black Cavendish bring perfect harmony to this naturally sweet tasting blend. The soft, creamy vanilla adds to the elegant room notes. Erik's brother Lars Stokkebye was born in 1966 and, like his big brother, spent a great deal of time in the Stokkebye factory learning about the tobacco trade. Lars Christian's 1966 is blended from mature ribbon cut Virginias, Burleys, Black Cavendish, and a pinch of Latakia, then finished with a little splash of Caribbean rum. 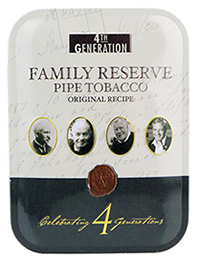 This is a unique and complex blend that offers pipe smokers a medium strength smoking experience.